Cockroaches are not going to go away by themselves. Effective treatment depends on many factors; here’s how to gain control. Sometimes, cockroaches come back after treatment thought to be successful. Even when pest management professionals (PMPs) use every tool at their disposal, control may be elusive. Here are 10 tips to help reduce customer callbacks. 1. Eliminating callbacks, or at least reducing them, should be the goal of every PMP. Establishing protocol for different species of cockroaches in various sanitation conditions is significant in achieving this goal. — Philip Smith, President, Compass Pest Management, Cornelia, Ga.
2. Educate and inform your customers of all aspects of the treatment procedures and protocols, as well as the treatment schedule, including your expectations and expectation timeline. Callbacks usually are related to the ongoing support needed (sanitation, housekeeping, building maintenance) to maintain control after the problem has been resolved. Customers have a tendency to let down their guard. — Bill Melville, Owner, PRIZM IPM Solutions, West Linn, Ore.
3. Educate customers to let them know what they can do to reduce conducive conditions and what results they can expect over time. — Philip Smith, President, Compass Pest Management, Cornelia, Ga.
4. 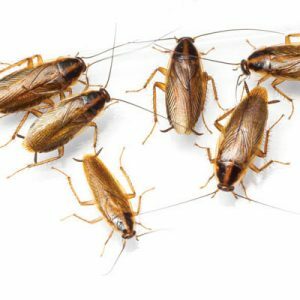 If the source of the cockroach infestation can be identified and linked to a specific supplier, an employee who is bringing them in, a family member who travels, a particular store where they shop, help them understand the changes in these areas that need to be made. — Bill Melville, Owner, PRIZM IPM Solutions, West Linn, Ore.
6. Assuming a thorough service was initiated, the callback rate can and will be reduced with client cooperation and education as to why and how the issue first emerged. Inform customers that specific services require some time to take full effect. Make certain technicians are experienced, knowledgeable, and understand what to do and do it well. Otherwise, issues will emerge. — Dennis Mastrolia, CEO, Dennis the Mennis Pest Experts, Lynn, Mass. 8. Since making changes in the materials we use, and equipping all technicians with HEPA-filter vacuums, callbacks have almost become non-existent. Because cockroaches have an incredible ability to adapt to materials, we must field test new methods of treatment long before they adapt to our current treatment methods. — Josh Fleenor, President, Pest Pros Pest Solutions, Sacramento, Calif.
9. Take your time to do a good job. Many technicians hurry through the job and don’t eliminate all of the cockroaches. Slow down. In the pest control business, time is money so we are always in a hurry. But you have to know when to slow down and when to speed up. — Randy Konold, Owner, Sodak Pest Control, Watertown, S.D.